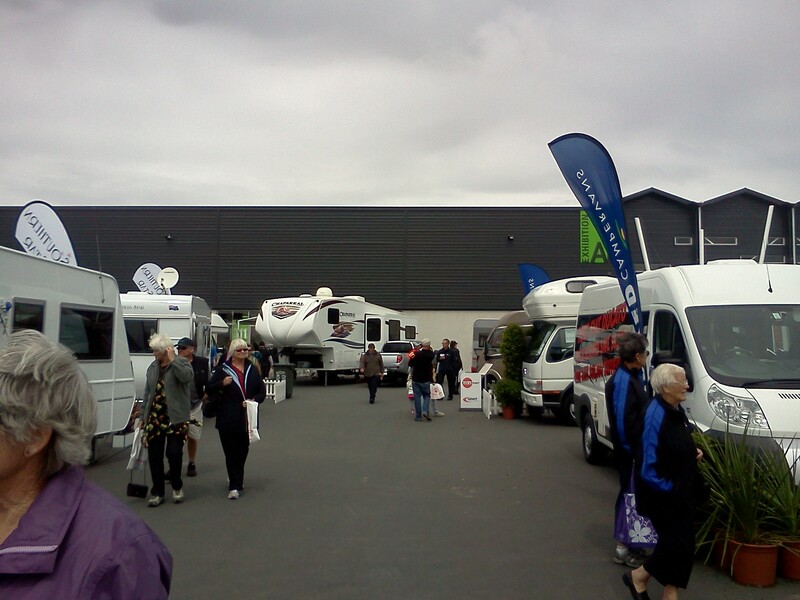 As you may have gathered we went to the Motorhome show at Claudelands Event centre yesterday. Fortunately Hamilton seemed to get away with strong winds and squally showers rather than the “weather bomb” that we’d been promised. 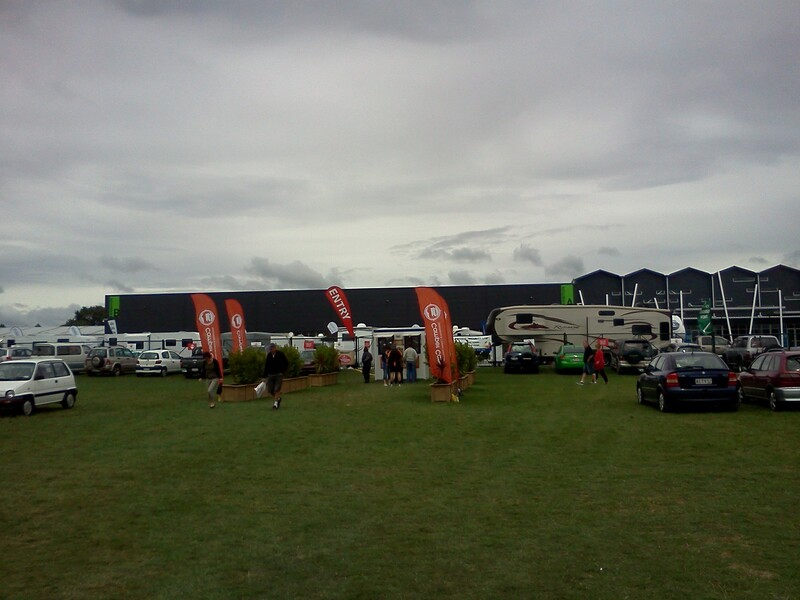 Good job as although there were several halls full of exhibitors keeping nice and dry there were also a lot of vehicles on display outside. Apart from a few low-cost accessories we personally went round the show completely as window shoppers/researchers (and blog promoters!). It was great to have the opportunity to walk through as many different vehicles as we liked. 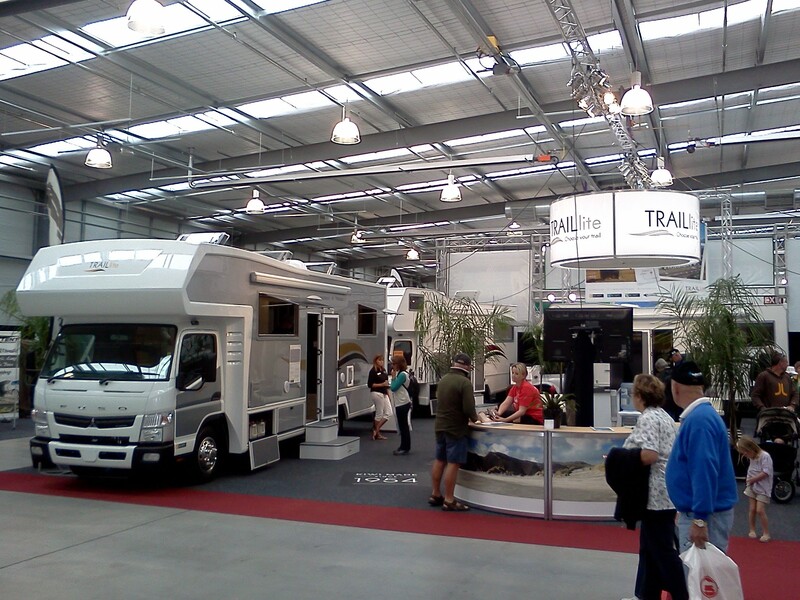 In the private sale section there were small campers from $6000 while some of the biggest flashest vans or fifth wheelers were easily priced around $300,000. 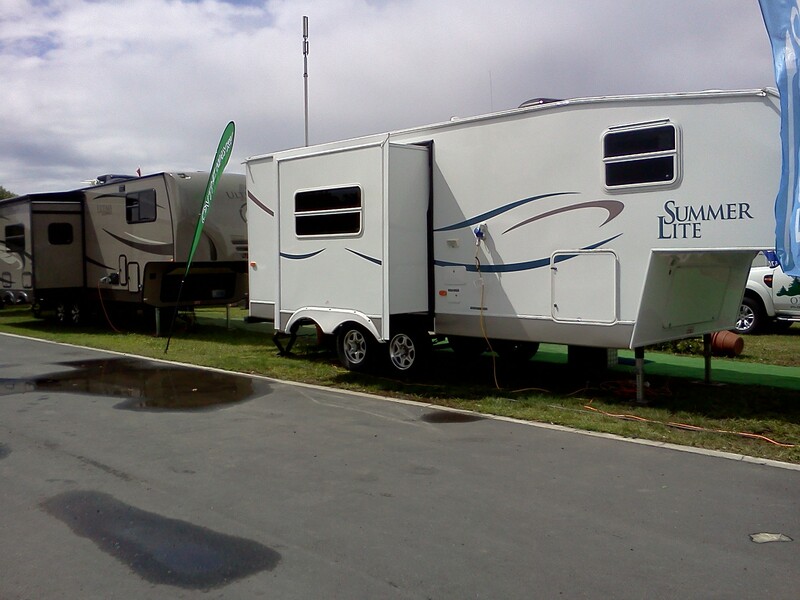 There were fold-out camping trailers, demountables and caravans. 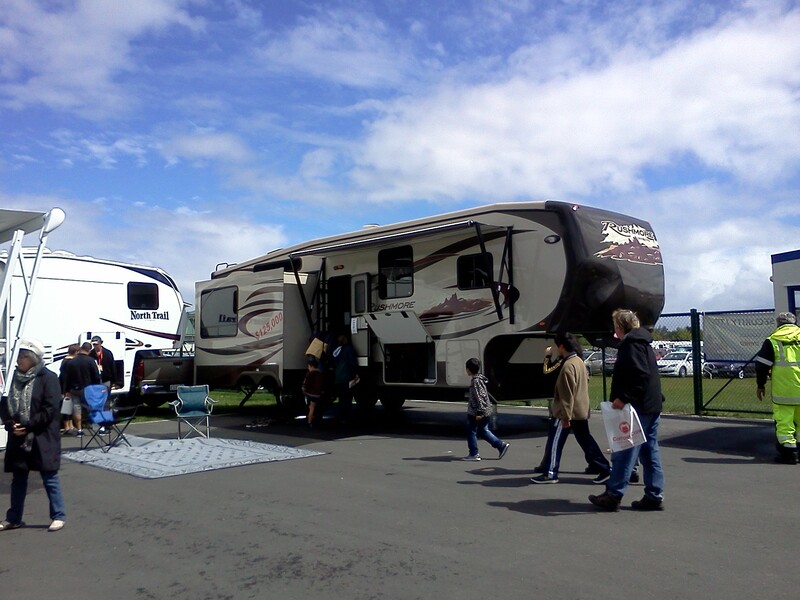 RVs with slide-outs and campers with pop-tops. 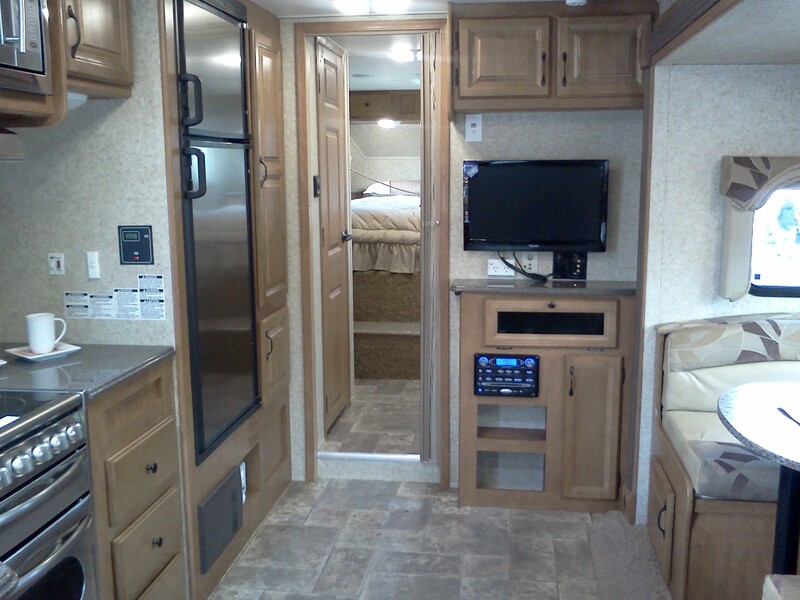 You are certainly encouraged to dream when you are spoilt for choice with such selections. 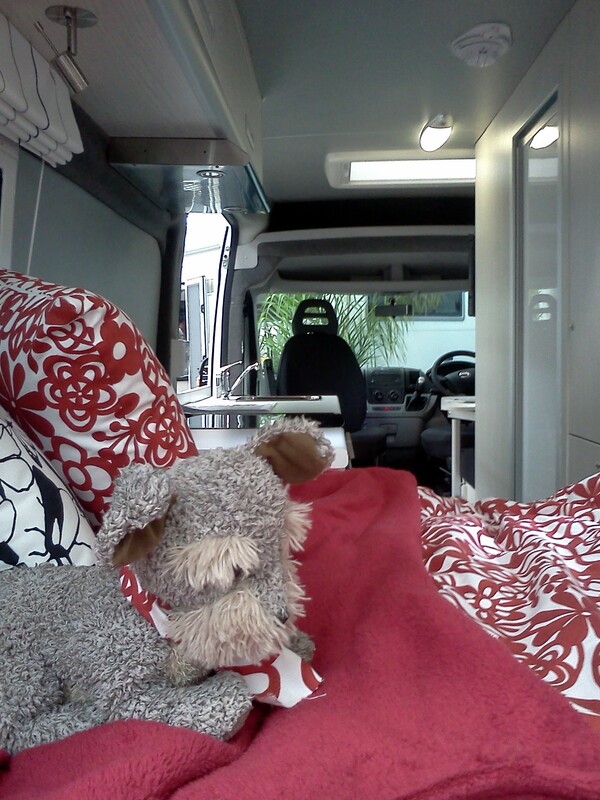 As campervan owners we already have our own set of personal preferences for what would suit us as a family and we always tend to veer away from the fixed rear double bed versions that are more for couples. We wafted in and out of the display models casually saying “yeah” or “na” as if we could just whip out a cheque book there and then. The sales people were attentive but fortunately most could spot the serious buyers and gave them the time and attention they needed rather than try to corner us mere dreamers. 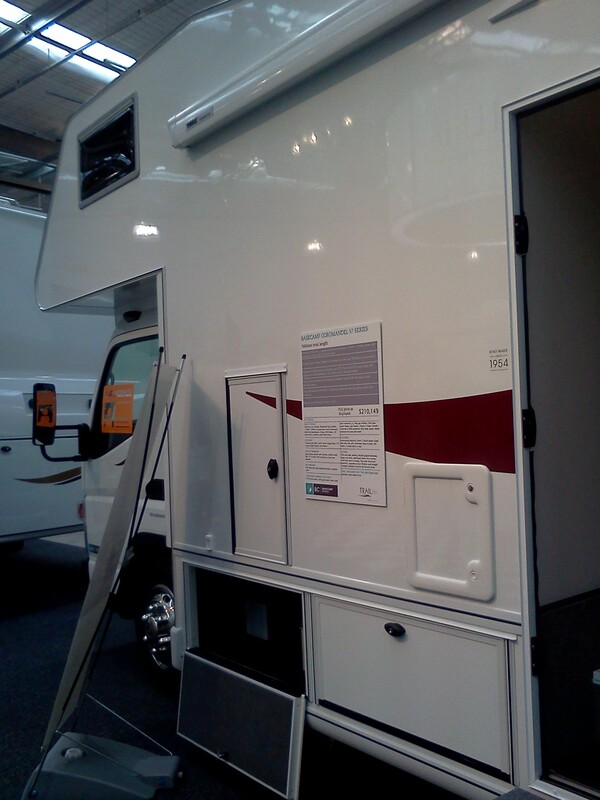 However… if the lottery tickets work their magic sometime soon then we decided we liked this TRAILlite camper the most….. 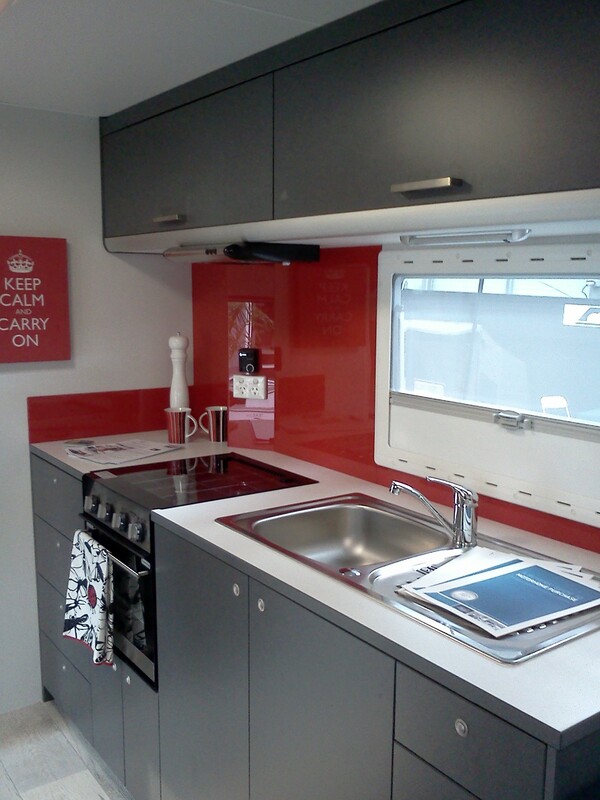 This camper also has one of the best bathroom designs available: the toilet compartment on one side of the van with a separate shower room across from it. 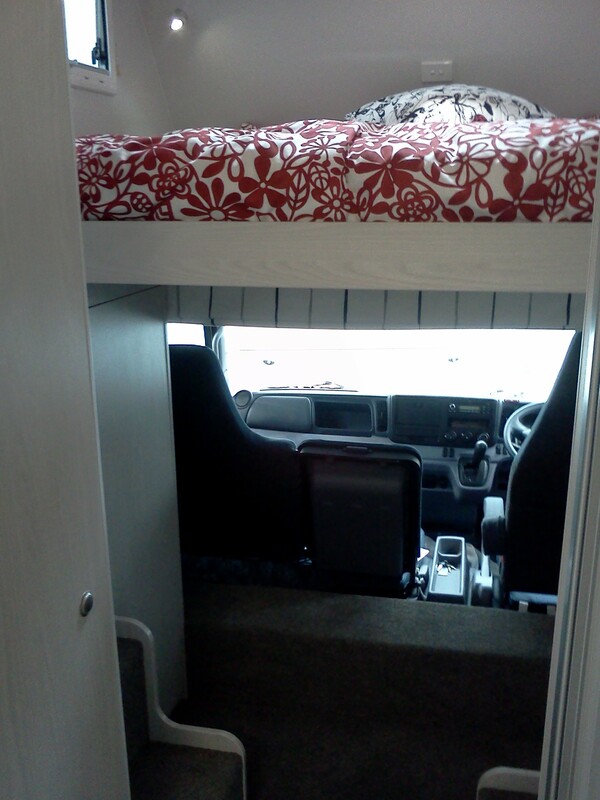 We had this option once in an American motorhome we used to own and we know it works very well. 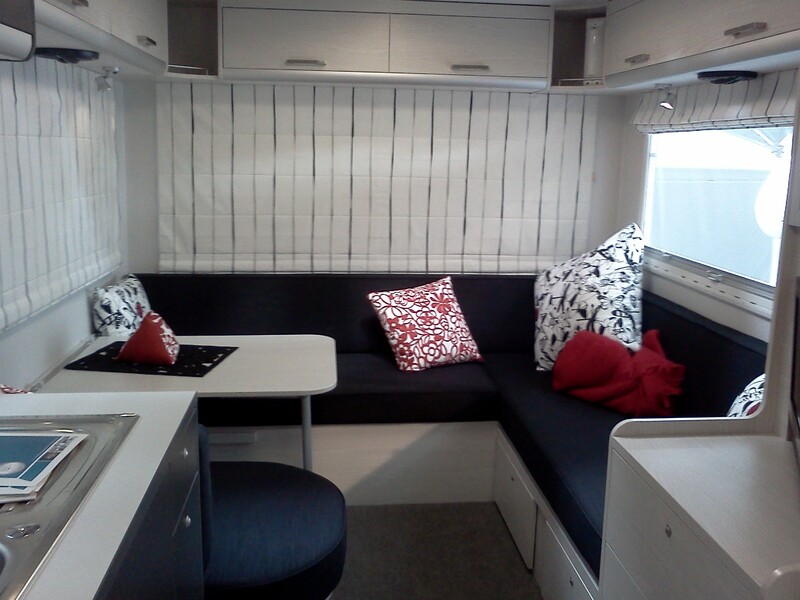 You can use both rooms separately or open both doors out to make a full size room across the width of the van. Speaking of toilets; Sam had a good chat with a guy on the Thetford stand who we bought our toilet from two years ago. We’ve had a little problem with the flusher but Sam was given a few hints and tips to try to sort the problem out. We also bought a few accessories and got lots of information on things that we intend to buy for the Kiwi Blog Bus, one day. The one day list is getting kind of big now! 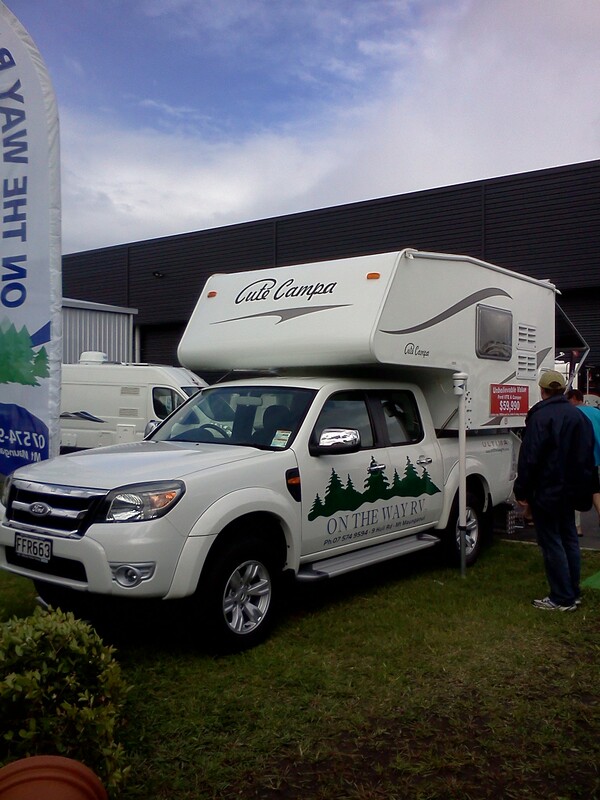 Many NZMCA members attended the event and there was a rally organised for members to stay on-site for a small fee. It appears lots of folks took advantage of this opportunity although we couldn’t stay overnight ourselves due to other commitments. I’m off to have a cup of tea and browse through some of the brochures we returned home with. That list might get a bit bigger yet.